 Increase awareness of the many health conditions strongly linked to vitamin D deficiency.  Encourage all Canadians to be proactive in protecting their health and have their vitamin D blood levels tested annually. 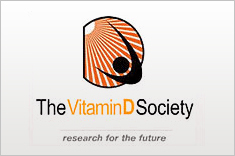  Fund valuable vitamin D research. TanningTruth.com is a public information site dedicated to teaching a responsible, balanced and effective message about sun care. Sunlight is free - the sun has no public relations firm tauting its many benefits. And because $35 billion is made annually by parties who use "sunscare" tactics - overstating the risks of sun exposure while ignoring the benefits - it's more important than ever for the public to hear the full story. That's the charge of TanningTruth.com.  The Sun and the "Epidemic" of Melanoma: Myth on Myth by A.Bernard Ackerman, M.D.